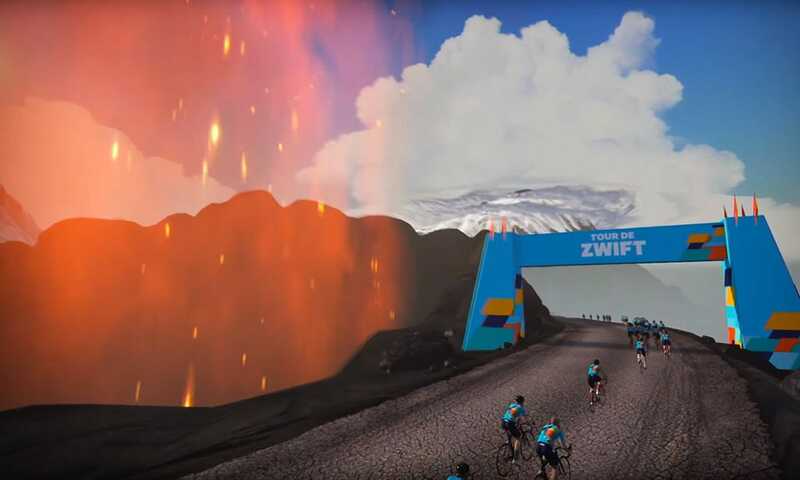 Watopia’s “Volcano Climb After Party” is a custom route introduced for stage 4 of January 2019’s Tour de Zwift. If you know your Watopia routes, the easiest way to understand this route is as two laps of Volcano Flat followed by a lap of Volcano Climb ending at the volcano KOM banner. This means the first 36km (22.4 miles) of the route is quite flat, but the final volcano climb wraps it up in painful fashion. In fact, nearly half the route’s vertical gain comes in the final 4km! Thomas, it’s all about pacing! It will be painful… I hated the last hill on stage 3. But pacing is key.